If this statement provides a condition similar as of yours at present, then stick on to this article so that you leave the article resolving all your issues and doubts in forwarding AOL email to Gmail. Why AOL user Import AOL emails to Gmail? AOL Mail has vast user traffic throughout the globe, as it is been used by almost all internet users for mailing purpose. Also, the personnel using AOL Mail internet does not even require any other program to access the AOL Mail. 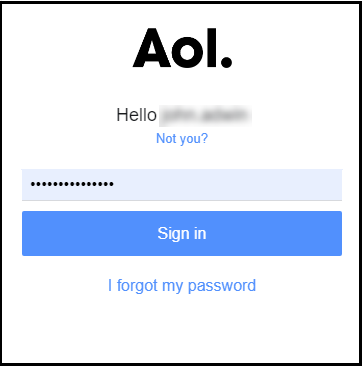 Though, the AOL Mail internet is rather slow, AOL Mail provides instant messaging to be accessed through AIM. Then, why AOL Mail users search methods to move from AOL Mail. What reasons tend them to take these decisions and work on it. Let’s go through the reasons first, before going for the solution. These above-shown issues are quite severe and AOL support needs to resolve these issues instantly for the user so that they are not frustrated with the issues in AOL Mail. 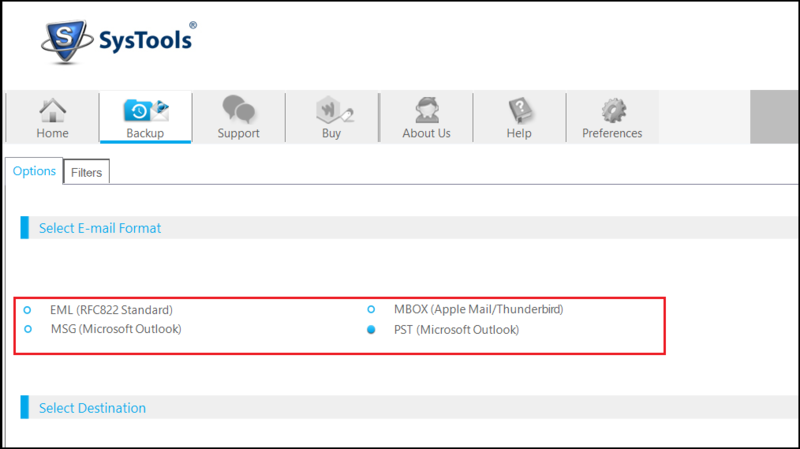 Also, read AOL Mail issues resolved in Mac Platform. The users prefer to forward AOL email to Gmail because Gmail is an email client having an excellent mail management system. Also, the other features like Google drive and task manager makes it feasible for all the user to comfortably use the email client for mailing and sharing purpose. Also, the services provided makes Gmail user happy, resolving all their issues instantly. Now, let’s move on to the segment discussing methods to import AOL Mail to Gmail. Now we will discuss each method in detail. One method to import AOL email to Gmail is to add the AOL account in the Gmail user account. In other words to simply, configure the AOL user mail account in your Gmail account. While configuring AOL account in Gmail, the type of Account defined must be specific. 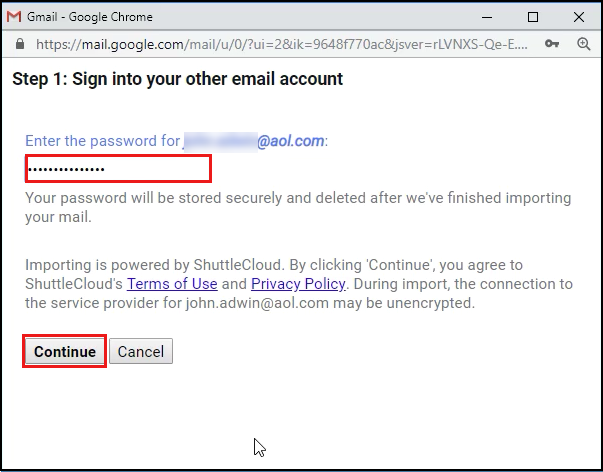 This is one method to transfer AOL mail to Gmail account. But this method only takes your emails out from your AOL mail. 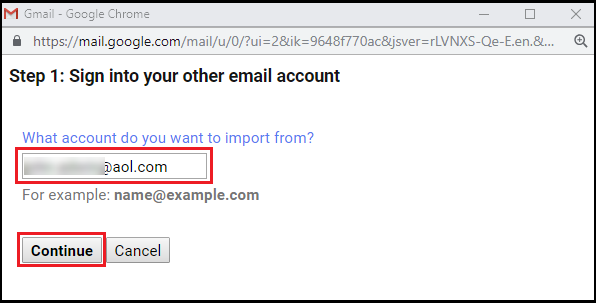 In some cases, the users wish to import the contacts also to Gmail. To get your AOL contacts migrated directly with the emails, go for the upcoming option. Click OK to exit and view the imported AOL data. 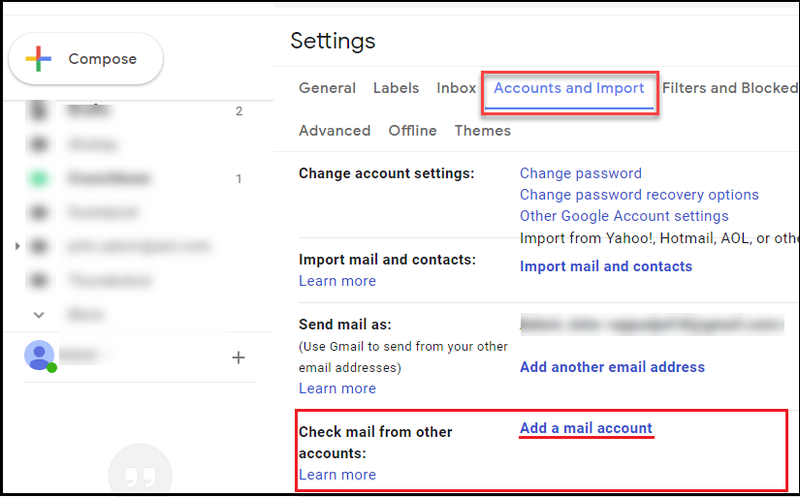 A limitation over this manual method is that Gmail will take a lot of time (up to 2 days) to sync and import AOL Mail to Gmail, if there are large number of AOL emails. To over the limitation of the above method, a smart procedure is described for the belief in its efficiency and simple steps performed. 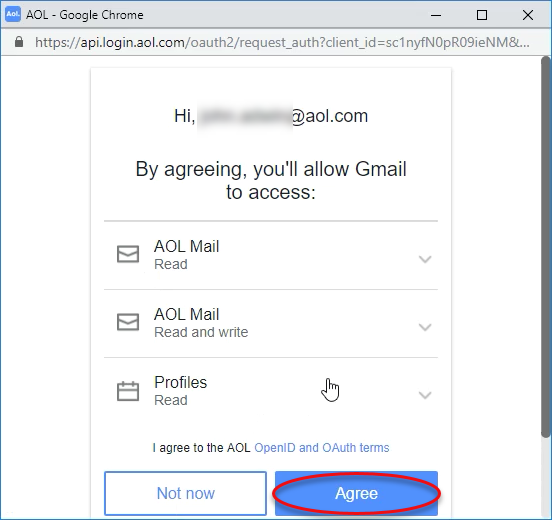 This is a feasible, time efficient, and easy solution to transfer AOL Mail to Gmail account with less time providing an attractive user experience. The most feasible method is to take backup of the AOL Mail to external hard drive in the Outlook supported file format. And then, migrate the backup file into Gmail. This method is very easy to compile and the outstanding interface makes the user experience more preferable to use the method on all times. To start with the method, first, backup the emails in AOL Mail to the local machine. Now, import the downloaded PST file into Gmail using the GAMMO Tool. 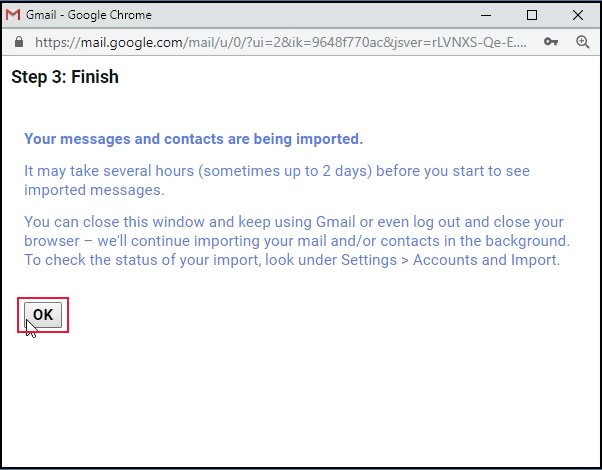 A free tool provided by Google itself to import the Outlook PST file into Gmail. Read Import PST file to Gmail using GAMMO tool for a descriptive session on the procedure of importing PST file into Gmail. 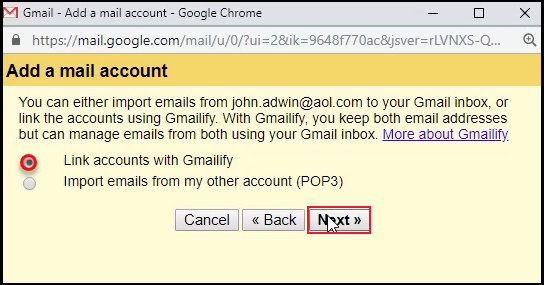 After the migration is completed, you can access your Gmail account and view the AOL emails in it. This method is very much efficient and easily forward AOL email to Gmail providing a good user experience. The AOL Mail has large user traffic on the daily basis. And also, the issues generated for users tend them to transfer AOL Mail to Gmail, as Gmail is known good for mail management. 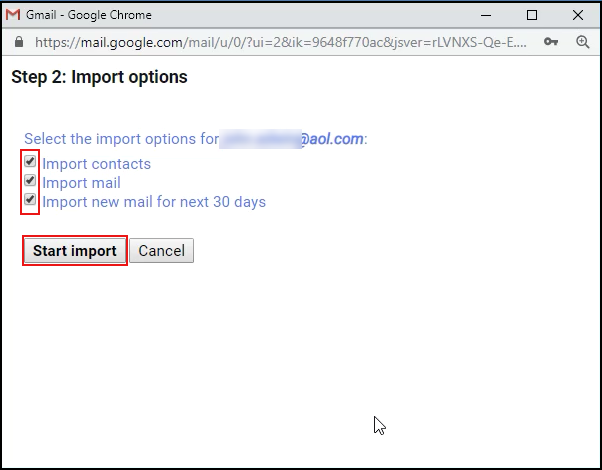 Also, a smart method discussed to export AOL Mail, and using a Google-free tool for importing emails in AOL Mail to Gmail.